With so many almost new vehicles, there is a very little chance that a seller of an older model of a vehicle gets paid according to the actual asking price. Expert car sellers know the process and they are familiar with reliable car selling methods, however, dealers and brokers take advantage of the first-time car sellers who are looking for reliable car selling sites in the UAE. Here is why it is important for the first-time sellers to know about the safe and reliable car selling websites in UAE. 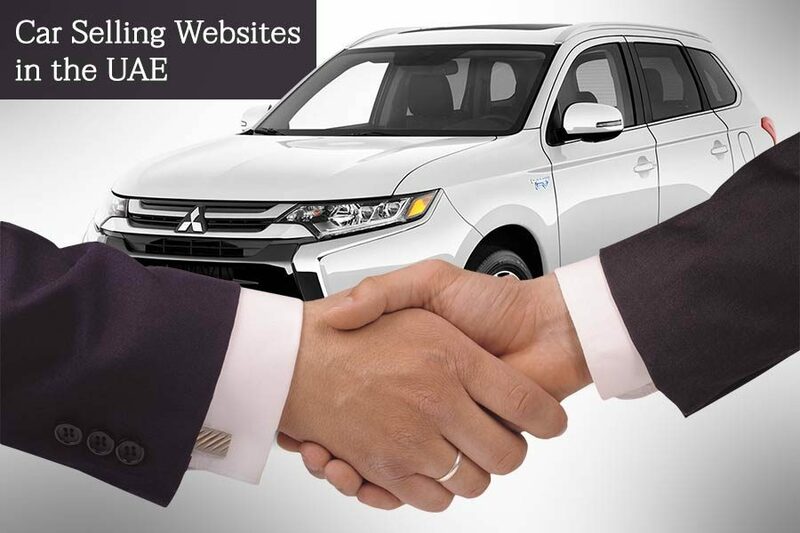 Why Car Selling Websites in UAE Are Important? Most first-time car sellers find it challenging to sell a car because of low price quotes and unreliable car selling methods. Experts are familiar with the process but for the first-timers, the situation is very challenging. There is a high chance of being looted while selling a car, however, these problems can be easily avoided if you know about the safe car selling methods. Here are three most effective and well-known online car selling methods that can be used by the first-time car sellers. Classified websites are one of the well-known and oldest car selling websites in UAE. These websites have been designed on the conventional model of classified pages in the newspaper that are added to advertise products for sale. Similarly, you can sell your car to a buyer on the classified websites. The only problem is that these websites are not specifically for car selling, which means it can be quite confusing for the sellers and buyers to ensure the quality and authenticity of both advertisement and the interested customer. For posting an advertisement, the seller has to add a high-quality picture of the car along with a short description and finally the contact details. There is a high risk that the seller can be anyone from a serious buyer to a scammer. Due to these major security reasons, it is hard to sell a car online via a classified website. Moreover, some classified websites even require the seller to pay in order to post an advertisement while others ask for boosting charges. For someone looking to sell car for free, such car selling websites in the UAE are not the best option. One of the secure, but extremely expensive methods of selling a used car online is to use auction websites. These websites are specifically designed for luxury and classic cars, which means if you own a second-hand car and want to get a good price, this is not an ideal method for you. To sell the car via an auction website, you need a registered account for a fee and this is just the start. Once the account is set up, the seller is asked to add a high-quality photo along with the specification and on submission of this, the website provides an auction plan, which includes the date and day of the auction. This is an online auction which means people from around the world bid for the car, the person with the highest bid gets the car. Once the auction process is completed, the seller is asked to bring the car for physical inspection after paying a fee for the physical inspection. In short, with every step, the seller pays more and if you have a normal car, you might end up paying half the amount of the actual car price to clear all the dues. Car buying expert companies are, so far, the best method of selling a used car. Due to their reliability and their efficient services, they are often said to be the best car selling websites in the UAE. Their car selling method has been very carefully designed to overcome all the problems that the sellers previously had to face while selling their cars via other car selling sites. Their car selling procedure is divided into two phases, the first phase is an online car value process that takes only 15 seconds. The online price quote can be generated by an automatic online car value calculator that is available on these car buying expert websites, moreover, this calculator is free to use, accurate, quick and readily available at all times. After generating the online quote, the seller can book an appointment for the free physical inspection of the car and take the car to the location of the company. The physical inspection takes around 30 minutes and at the end of the inspection final offer is provided. If the seller accepts the offer everything is handled by the company including the documentation procedure. With these car selling websites in UAE, the seller is not required to handle long tiring registration process that otherwise takes a lot of time. The only method that seems to have all the qualities that most car sellers look for in a car buying websites are all available in the car buying expert website. For first-time car sellers who are looking for secure car selling websites in UAE, the best method is to sell the car via car buying expert companies. These companies provide an easy, secure and fast method of selling a car without any service charges.